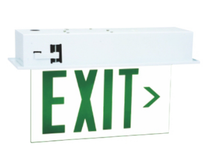 Emergency lighting inverter,led emergency light module,Emergency lighting inverter,led Emergency convertor,Emergency convertor - Meibang Electric (kunshan) co.,ltd. 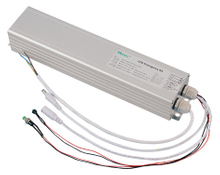 It includes emergency inverter and NI-CD/LI-ON/NI-MH batteries, can power led lamp with external driver up to 60-180 minutes during mains supply off. Automatically switch into emergency mode during main power off. Green led indicator indicates battery charging normally. Push test switch to imitate main power off. 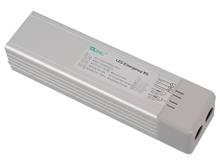 LED EMERGENCY KIT DESIGNED TO SUIT A CONSTANT OUTPUT VOLTAGE RANGE OF LED LIGHT. 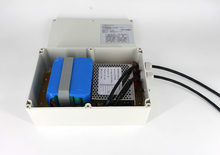 THE MODELS HAVE SEALED NI-CD/LI-ON/NI-MH BATTERIES ABLE TO GUARANTEE HIGH EFFICIENCY WITH HIGH TEMPERATURES. 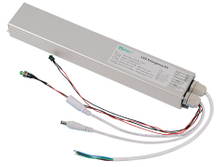 THE LED EMERGENCY KIT CAN BE USE FOR LED STRIP LIGHT. THUS ALLOWING ANY LIGHTING SPOT TO BE QUALIFIED FOR EMERGENCY IN A SIMPLE AND QUICK WAY, WHERE NEEDED. THE EMERGENCY KIT ARE DESIGNED ACCORDING TO EN61347, EN55015, EN60598-2-22, EN61000. Both housing and diffuser use frame retardant PC Material with good performance of corrosion resistance and abrasion resistance.It gets IP65 protection class that is able to be used in a humid and dust environment.With over Charge/Over discharge Protection; With CE,ROHS certificate;We attach great importance to each session of the Canton Fair, so we will bring our latest products, technical staff, clerk to attend. 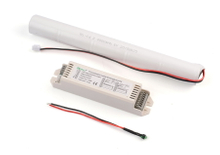 This item is include driver, converter and batteries. We put them in one aluminium /plastic /iron box is easy connect all cable for light. Smaller size with good quality have a good sale in Eur.